The Maple Street Carriage House is perfect for a romantic weekend getaway or for the business traveler looking for something different than the typical extended stay experience. 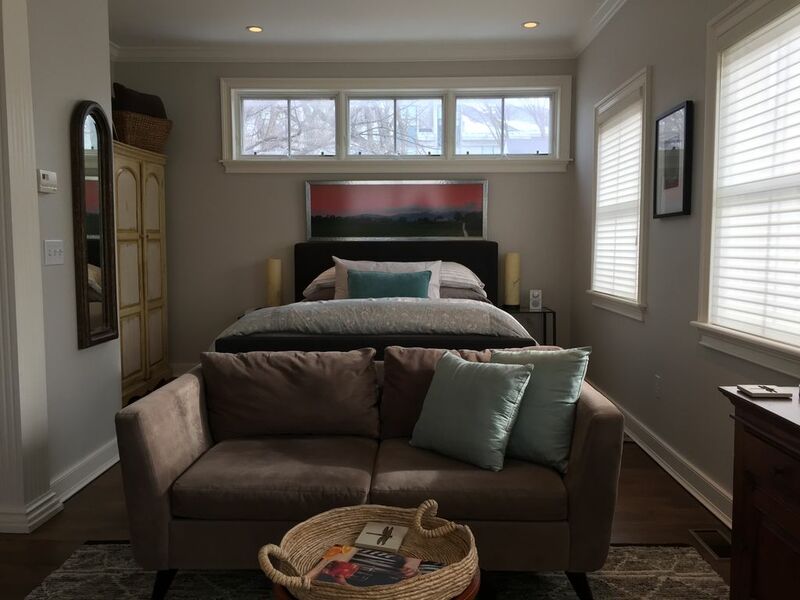 Our Carriage House in downtown Burlington is designed to provide you with the comforts of home in a tranquil, private setting. Forget something? We live on the property and will be happy to assist you. The location is a short stroll to Burlington's premiere restaurant, theater and shopping district as well as the Lake Champlain waterfront. Visiting a student at UVM or Champlain College? We're walking distance to the colleges, too.